How to transfer coins via Comfort Trade? 1. 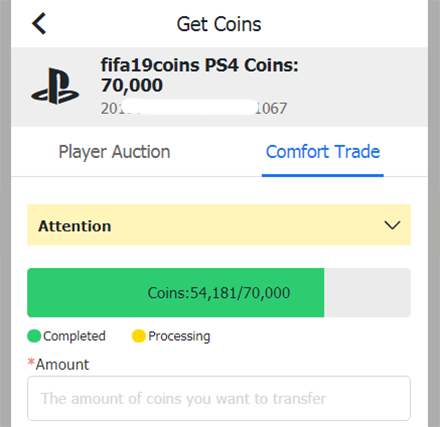 Enter the coins amount that you want to transfer, then enter your correct FUT account info. 2. Click the button "Login & Get Coins" to submit your request. 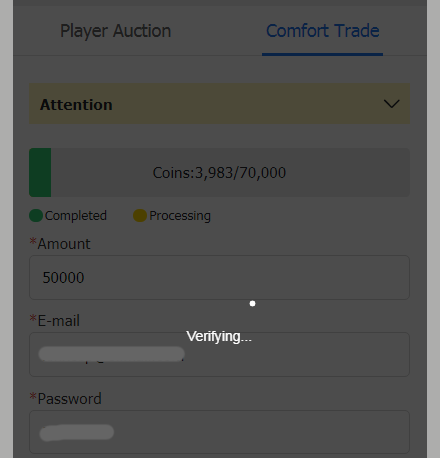 It will take minutes to verify your FUT account, please wait patiently. 3. 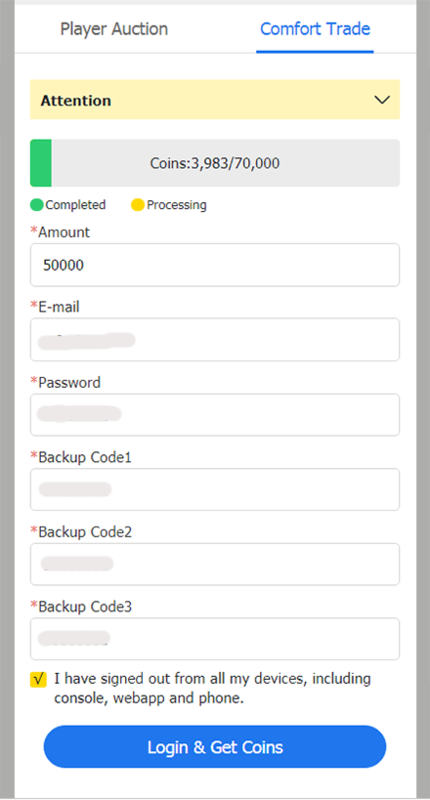 After verifying your account and it is usable, coins will start to be transferred. 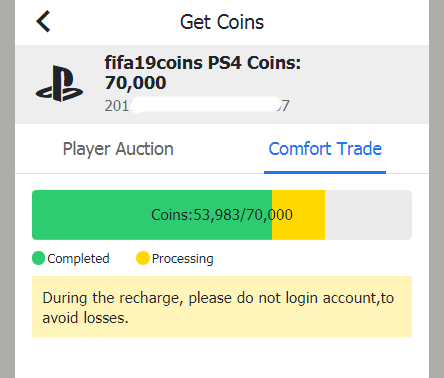 The green box shows how many coins had been transferred into your FUT account. 4. When the yellow box completely changed to a green one, meaning that coins are all arrived in your FUT account.